Where do you want to put Samsung when you're talking about smartphones, even the world cannot forget Samsung products when it comes to durability and lasting products. Smartphones from Samsung are really wow, if you've got one in the time past, how is it? 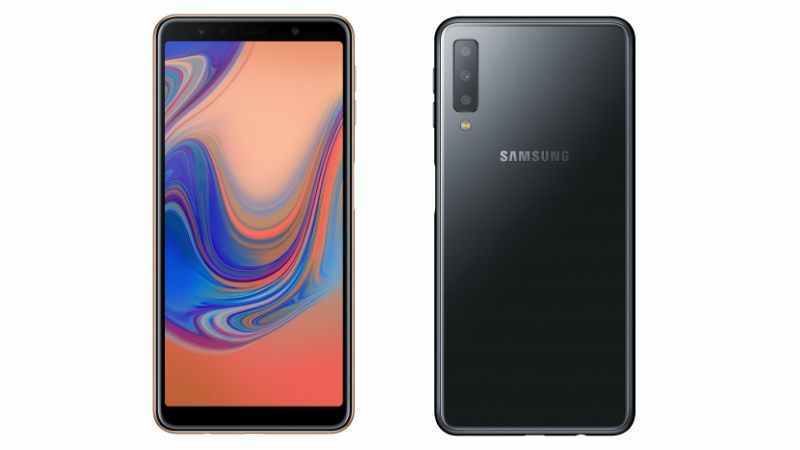 Galaxy A7 has a nice features just like it mates, it was the first smartphone launched with triple rear cameras from Samsung. An upper mid-range device with this triple camera to say, giving you clear and sharp picture both on rear and front for selfie. Samsung Galaxy A7 remain one of the best smartphone ever, as brought to you earlier, it comes with tripple rear cameras in Galaxy As series. As for the price it varies depending on locations which ranges from N140,000 to N145,000 at retail shops in Nigeria.